Born in Egypt, where he obtained his bachelor degree in 1947, Mahmoud Melehy joined the Egyptian State Telephone and Telegraph Service, prior to moving top the US in 1948. 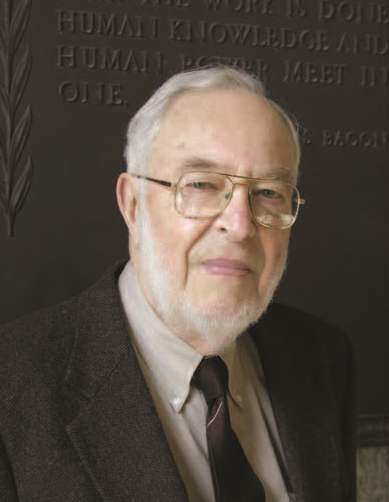 He received his Ph.D. at the University of Illinois in 1952, and in 1958 joined the Electrical & Computer Engineering (ECE) faculty at the University of Connecticut (UConn) in Storrs, where he remains a professor emeritus. In 1960, Dr. Melehy consulted at Shockley Transistor, Mountain View, CA, resulting in two published papers with Dr. W. Shockley, inventor of the junction transistor and co-recipient of the 1958 Nobel Prize in physics. Dr. Melehy's research has been devoted mainly to generalizing Einstein's 1905 theory of Brownian motion to surfaces, membranes and other interfaces. The generalized theory has led to a unified theory for semiconductor diodes and solar cells, which accurately corroborates experimental data reported, over more than 25 years, by some 27 authors. The general theory has further revealed that the first and second laws of thermodynamics require that electric charges reside at most interfaces. This result explains numerous natural phenomena, such as surface tension, capillarity, fog and cloud suspension, atmospheric electricity, particle adhesion to surfaces, the release of electric charges upon phase change, and the mystery of generating static electricity by rubbing two different surfaces against one another, to mention a few examples. Dr. Melehy has published on this subject some 80 scholarly journal publications and one book. He has presented his work in numerous international conferences, including the Paris, 2005 "Einstein Century International Conference".